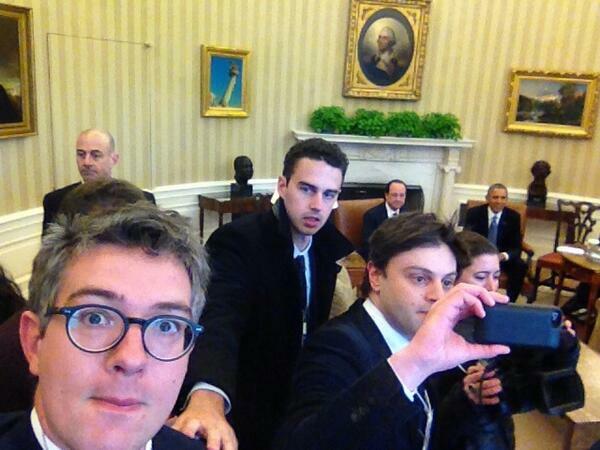 “Selfie dans le bureau Ovale…” Le Monde correspondent Thomas Wieder (bottom left) gets a snap of a couple of politicians. [Via Agnès Poirier]. His Tumblr is interesting too. This entry was posted in Photography, US politics. Bookmark the permalink.